What’s up, everyone! I’m Xander Pero and this article is primarily about the new set, Evolutions. Since this is my first article, I’ll start with a short introduction about myself. I’m a sophomore in high school in the Chicago area, and this will be my 7th year playing the Pokémon TCG. My favorite Pokémon has been Teddiursa ever since I won Nationals in 2011 with Ursaring/Yanmega/Vileplume/Sunflora/Roserade, AKA Bearhug. I’ve played as a Junior, a Senior, and now I’m a first-year Master. With that out of the way, let’s get into the article! One of my favorite cards from the set — both in artwork and playability! Evolutions released earlier this month, and I have to say that the artwork on the cards looks amazing. The set doesn’t introduce many stand-alone cards, but it does add specific cards such as Dragonite-EX and Mewtwo EVO to help support current decks. These cards will fit into the current powerhouses of the Standard format, either to make them more consistent or to swing certain matchups. Aside from these top cards, there are some cards that are too gimmicky, inconsistent, or unreliable to be great. My favorite thing about the set is that it promotes COUNTERPLAY. Counterplay is defined as: “a positive or aggressive action by the defending side, especially in chess” by Collins Dictionary. Now, what does this mean in Pokémon? Examples of cards that provide such utility are N, Parallel City, Silent Lab, Enhanced Hammer, and Delinquent. All of these promote counterplay by messing with the opponent. These are all reactive cards, and are more effective when played in particular situations. Counterplay is my favorite part of the game. Is it any fun to get rolled over by Night March or a big Yveltal-EX with no chance for a comeback? If cards like N didn’t exist, there would be no way to deal with a steady stream of attackers. N allows us to throw a curveball by disrupting our opponent at the perfect opportunity. Lots of the best cards in the set fill this certain niche by tampering with the opponent. These are all cards that have potential, some more than others, but I don’t think will make up the meta at the moment. The 3rd reincarnation of Lightning Energy acceleration. I really want this card to be good, but it’s a bad Eelektrik NVI. Eelektrik gives a steady stream of benefit compared to Electrode. Eelektrik can also attach Energy to non-Lightning types. Unfortunately, when attached, Electrode is also considered a Special Energy making it easier to remove. Electrode Prime from the HGSS era had a similar effect. Electrode Prime would knock itself out and look at the top 7 cards of your deck. Any Energy revealed could be attached to any of your Pokémon. This effect was very strong in decks that used multiple types of attackers. Electrode from Evolutions is not nearly as strong, and is not as powerful. 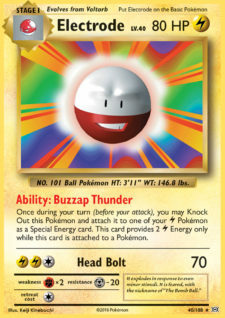 Electrode could be playable if better Lightning attackers were introduced. Pikachu-EX XY84 is great for nuking a target, but is fragile in return. Jolteon-EX is best used with Double Colorless and Max Elixir; giving up a Prize to power him up is not worth it. M Ampharos-EX is the one card I would pair Electrode with, aside from Raikou BKT. However, Electrode is too slow compared to Max Elixir and Mega Turbo. Maybe a Raikou/Electrode deck that runs Max Elixir for extra support could succeed, but the deck would get demolished by Mega Mewtwo, Mega Gardevoir, and potentially Darkrai-EX/Giratina-EX/Garbodor. This card has three attacks which is very rare, but they aren’t overpowered. Energy Absorption is a good attack to use early on, but will get worse as the game goes on. It is a slightly better Mega Turbo because it can get any kind of Energy. Regeneration is not a bad attack, but past the second turn it is not ideal to be healing. Mega Mewtwo wants to be swinging and taking quick KOs ASAP. Psyburn is overpriced and does not do enough damage. Mega Mewtwo’s attack does 130 alone with 4 Energy attached, not factoring in the Defending Pokémon’s Energy. This Mewtwo-EX is inferior compared to Mewtwo-EX BKT 62. Mega Mewtwo runs Shrine of Memories, which is why they constantly use Damage Change. Having extra health and the ability to use Mega Turbo to accelerate Energy is why this combo works. 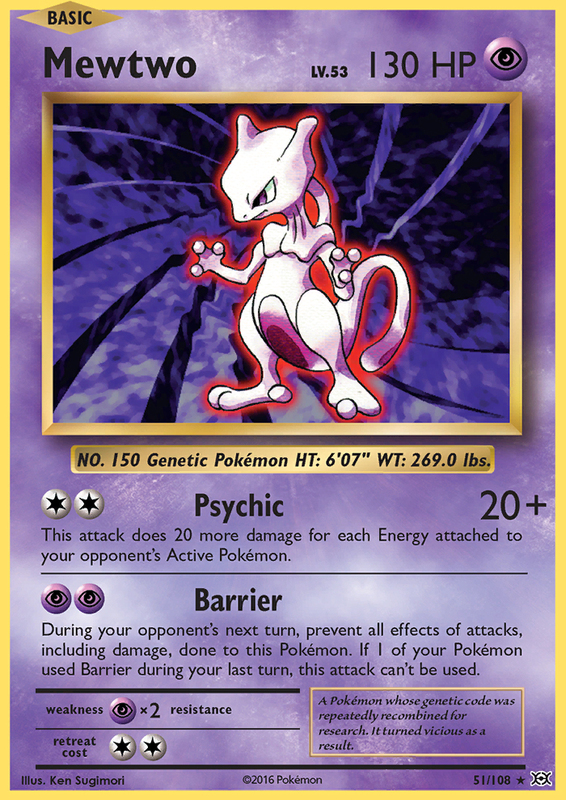 Mega Mewtwo decks without Shrine of Memories could run the new Mewtwo-EX because it offers Energy acceleration and potential healing for 1 Energy. However, I think Damage Change is strictly better with Shrine of Memories because it keeps Mega Mewtwo healthy, and prevents your opponent from making certain plays. Damage Change has more of an impact in the later stages of the game. Better Night Spear? Check. Similar to M Audino-EX, M Blastoise-EX has a powerful attack for 3 Energy. Comparing it directly to Night Spear, it does 30 more damage to the Active, and snipes an extra target. The downsides are Blastoise being a Mega, and not having an Ability. There also aren’t any popular 30-HP Basics running around anymore (*cough* joltik *cough*) to be sniped. Fun Fact: This Mega Blastoise is a reprint of one from XY. Spirit Links were not introduced until Phantom Forces, leaving Blastoise hanging out to dry. Megas did not become a large part of the format until M Manectric-EX was introduced with the first set of Spirit Links. Comparing Mega Blastoise to a different Mega, Primal Kyogre-EX, they are very similar. Primal Kyogre requires an extra Energy, but has Alpha Growth and 20 more HP. Primal Kyogre’s attack is superior; it does an extra 30 damage to the Active, and spreads to ALL opposing Benched EXs. Moving the Energy to a Benched Pokémon also helps weaken Mega Mewtwo’s damage, and, in the case of a KO, leaves another Pokémon ready. Mega Mewtwo needs 6 Energy to KO a full-health Primal Kyogre after attacking, but only needs 4 Energy to KO a full-health Mega Blastoise after attacking. Yveltal BKT destroys Megas by shutting of Spirit Links and damaging them anywhere on the field. Rough Seas is great for Water decks to deal with it, but does not solve the problem. Manaphy-EX is also necessary for mobility and the ability to retreat easily. Garbodor is running rampant, taking up a majority of the Top 32 in Orlando and ultimately winning the tournament. Yveltal/Garbodor decks will have a field day after trapping a Pokémon Active with heavy retreat. Giratina-EX is also a problem for Mega Blastoise. It takes two attacks and two Hex Maniac to KO a Giratina-EX. All of the Megas in format can dish out OHKOs, but not Mega Blastoise. One saving grace for the giant turtle is that he can snipe non-EX Pokémon. In the case of Joltik STS, it can be KO’d on the Bench. It can also hit both Xerneas and Yveltal, along with Oddish, Pikachu, Rattata, and Trubbish. This is one edge it has over Primal Kyogre. Dragonite-EX is ready to swoop down and do pull-ups. I think these are the top 5 cards coming out of the set based off of their utility. I think that none of these will succeed as their own deck. The only chance of this is Raticate, but that is mostly based off of the BREAK anyways. However, Rattata and Raticate give the deck meaningful pre-evolutions though. In Mega Gardevoir: Mega Gardevoir decks need more Pokémon recovery because their damage comes from discarding them. Mega Gardevoir has insanely good matchups against Yveltal-EX variants, Darkrai-EX/Giratina-EX/Garbodor, and Mega Mewtwo. However, against other decks Mega Gardevoir can struggle. It needs to discard 6–7 Pokémon to OHKO a 170/180-HP EX without damage modifiers such as Giovanni’s Scheme. 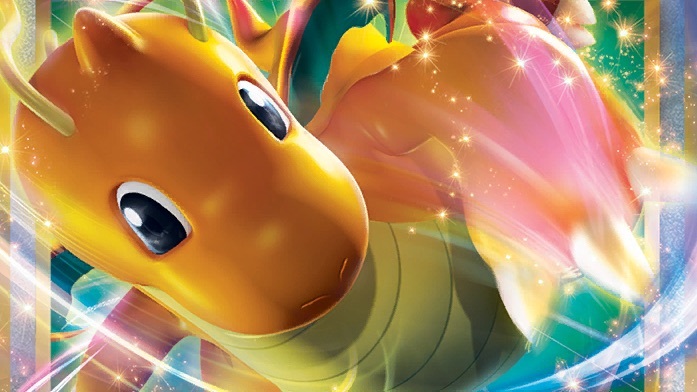 Dragonite-EX will be great at boosting damage, essentially by 30 for each Dragonite-EX. Mega Gardevoir performs well against Dark decks because of Resistance. Mega Gardevoir can trade well against Yveltal because they only need to discard 2 Pokémon. Against Yveltal-EX and Darkrai-EX reaching OHKOs becomes more of a problem, especially when Fighting Fury Belt is involved. Mega Gardevoir can’t OHKO these EXs typically, but it can still two-shot them. Against these decks, Mega Gardevoir does a great job of killing Shaymin-EX because of the 110 base damage. The deck’s matchup against Mega Mewtwo is near perfect. Both decks win by taking OHKOs, but Mega Gardevoir is more efficient. Mega Gardevoir needs 2 Energy, while Mega Mewtwo needs 5. Dragonite-EX would not be very useful in this matchup because the deck already hits for Weakness. In Mega Rayquaza: Mega Rayquaza needs Dragonite-EX to recover after a Parallel City. This is the main weakness of the deck at the moment. So many decks are able to play Parallel City and use an N, sometimes with a Garbodor in play. This cripples the Mega Rayquaza player, requiring them to draw a Supporter, then Sky Field and Pokémon (in that order). This is the main reason why I think Mega Ray is not an amazing deck. Dragonite-EX doesn’t help against the decks that run Garbodor such as Yveltal-EX/Garbodor, Darkrai-EX/Giratina-EX/Garbodor, and Mega Mewtwo/Garbodor. In Rainbow Road: Rainbow Road benefits the least from Dragonite-EX out of these three decks. It can “double up” on damage because of dual typing. Theoretically it can do 190 with only Volcanion-EX, Galvantula STS, and Bisharp STS on the Bench. The deck can still reach a OHKO without Sky Field in play, or even if a Parallel City is in play. Dragonite-EX is not as necessary or important for the deck because of this. Another reason not to use Dragonite-EX is because Rainbow Road has trouble with Pokémon trapped Active, especially Hoopa-EX. Dragonite-EX has 3 Retreat Cost, and compared to Hoopa-EX’s 2 Retreat Cost, it’s an even worse Bench-sitter. Mewtwo has a history of countering and beating itself! Mewtwo fills a specific niche, which is to counter Mega Mewtwo. Mewtwo’s damage is based off of the Defending Pokémon’s Energy. If Mewtwo has a Fighting Fury Belt attached, it OHKOs Mega Mewtwo with 4 Energy attached. If Mewtwo has no damage modifiers, it OHKOs a Mega Mewtwo with 5 Energy. I think the main strength of Mewtwo is that it can be dropped with a Double Colorless at any moment. The Mega Mewtwo player has to be careful, until they know that you do or don’t play Mewtwo, you have the advantage. Mewtwo is a great bluffing card, it can swing the game in your favor if they overcommit, or choose to play differently because of Mewtwo. Aside from Mega Mewtwo, Mewtwo doesn’t have many other uses. The only other situation I think it could be alright in is against Yveltal BKT. It can two-shot the Yveltal for a Double Colorless. This would be helpful for any Mega decks running Mewtwo. I would use Mewtwo to KO the Yveltal as I set up my board and prepare to Mega Evolve once the Spirit Links are active. Rattata has a very unique effect: its Ability is the first to discard Tools. The first thing this card was recognized for was its amazing ability to counter Garbodor. 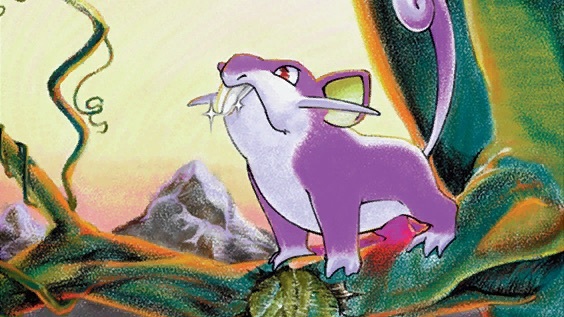 Rattata was viewed as a failed way to remove tools because it relied on an Ability. “Rattata is a great card for all decks that have problems with Garbotoxin. Simply Lysandre the Garbodor, bench Rattata, announce Mischievous Fang, profit.” This was the original, sarcastic consensus made by the community. Obviously this won’t work because Garbodor with a Tool attached shuts off Mischievous Fang. Rattata’s real use is discarding Bursting Balloon, Spirit Link, Fighting Fury Belt, Float Stone, etc. All of these Tools are prevalent in Standard, and waiting to be bitten off by Rattata. I think the best deck that Rattata will fit in is Mega Gardevoir. The deck already enjoys playing lots of Basic Pokémon such as Hoopa-EX, Shaymin-EX, now Dragonite-EX, and potentially Hawlucha STS. Hawlucha is great at dealing with Pokémon Mega Gardevoir cannot OHKO, and to get around cards like Regice AOR or Glaceon-EX. Hawlucha is going to be great against Plumebox, Yveltal-EX/Garbodor, and Megas (except Mewtwo). Hawlucha is obviously most effective against Plumebox, which I would consider a horrendous matchup. Even with Hawlucha, I don’t know if it becomes favorable simply because they have access to Regice. It is hard to go through 1–2 Regice, and Glaceon-EX afterwards. Simply put, Hawlucha might not be effective enough to swing that matchup. Yveltal-EX/Garbodor is already what I would consider an amazing matchup due to Resistance, and Despair Ray being able to discard damaged Pokémon and Shaymin-EX. Yveltal decks get ahead by stalling and sniping with Yveltal BKT, but Mega Gardevoir has ways to switch Pokémon easily. Escape Rope is superior to Hawlucha in this matchup, because it gets around Garbodor, allows the Mega Gardevoir player to switch, and can remove (or push) an Yveltal BKT Active. Raticate is very similar to Drifblim DRX, which did 50× the amount of Special Energy for [C]. Raticate does 60×, which hits OHKO on EXs for 3 Special Energy instead of 2! Raticate also has a monstrous first attack. It discards an Energy from the Active for [C]. The 10 damage is usually worthless, but it might make a difference for a deck like Mega Gardevoir. Back to Rattata. It’s great against Rainbow Road to remove Fighting Fury Belt. This makes it so Mega Gardevoir only needs to discard 1 Pokémon, or that Raticate requires 2 Special Energy to KO a Xerneas. Rattata discards Bursting Balloon against Greninja, which keeps Mega Gardevoir healthy. Darkrai-EX/Giratina-EX/Garbodor is interesting. Garbodor is going to be effective in preventing Shaymin-EX, Dragonite-EX, and Hoopa-EX. However, using Garbodor shuts off Giratina-EX, allowing Mega Gardevoir to KO it very easily. If they use Garbodor, Rattata is simply a Pokémon to be discarded. If they don’t use Garbodor, Rattata is great for removing Fighting Fury Belt on Darkrai-EX. Darkrai-EX is impractical to OHKO because of Resistance. Giovanni’s Scheme and 7 Pokémon discarded will OHKO a Darkrai-EX. 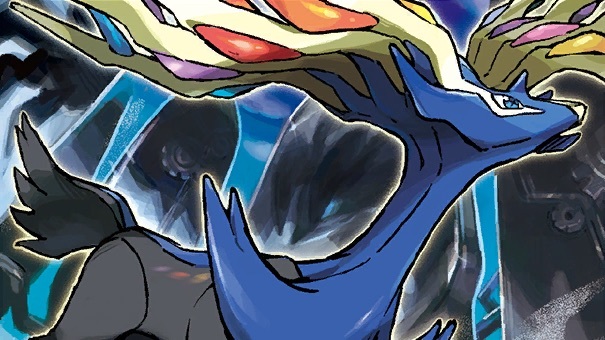 An unbelted Darkrai-EX can be two-shot without discarding any Pokémon. I’ve already discussed lots of uses for Raticate for Mega Gardevoir. However, Raticate is not exclusive to Mega Gardevoir. Special Energy is in almost every deck in Standard, so Raticate has a lot of targets to hit. Decks that would consider running Raticate also have the benefit of Rattata. I do not think any Raticate BREAK decks will do well, no matter the variant. The deck is too slow and cannot compete in the format. Brock’s Grit is going to be great for any deck that wants to expend Pokémon and Energy. For some decks, it will act as a better Karen. Shuffling in 6 Pokémon is more than enough in most cases, especially with Dragonite-EX being released. Brock’s Grit has the added bonus of being able to shuffle in Energy compared to being limited to Pokémon with Karen. Karen also shuffles in the opponent’s Pokémon, which is usually negative unless you’re playing against Night March or Vespiquen. Brock’s Grit gives great recovery for Vileplume decks, and for playing against Vileplume. Before, decks could only play Item cards such as Super Rod for recovery, but with Brock’s Grit there is a way to recover under Item lock. Not all Fairies are pink. This deck is my pocket pick right now; I’ve had the most experience playing this deck this season. Xerneas BREAK/Mega Gardevoir is what I’ve shown up at League Challenges with because it is a deck I can play in my sleep. It takes very little mental energy to pilot, and it’s the perfect deck to play on Saturday mornings. I would say there are two versions of the deck: Garbodor and Turbo. A Garbodor version would include Exp. Share and use that as the method of maintaining Energy on the field. This version would be less consistent, but do great against decks with powerful Abilities. A Turbo version, which is what mine is, would run extra consistency cards that maintain the Energy. I run 2 Mega Turbo and excess amounts of Pokémon, Energy, and Supporters for consistency. I built the deck to never draw poorly. I run 4 Xerneas to start with it the most consistently. Starting Xerneas means I only need to attach an Energy to use Geomancy. If I start with Gardevoir-EX or Shaymin-EX, I have to attach an Energy to the Active, Max Elixir onto Xerneas, and usually put a Fairy Garden into play to hit the Geomancy. 2 Xerneas BREAK is very helpful against Yveltal and Giratina-EX. Xerneas BREAK is the best attacker for dealing with Giratina-EX. Against Yveltal, Xerneas BREAK resists damage, and can get an initial KO without putting a Mega Gardevoir into harm’s way. I once again max out on my Gardevoir-EX count to draw into it on the first turn. The deck aims for a Geomancy on turn 1 with two targets, so I maximize the probability of pulling that off. I run 1 Mega Gardevoir (Despair Ray) to deal with Mega Mewtwo. Against Mega Mewtwo I do everything I can to start using Despair Ray and taking Prizes, ideally as soon as turn 2. I can then set up behind it, and use Super Rod to recycle it and use it again. 2 Mega Gardevoir (Brilliant Arrow) is enough for one game, as well as Super Rod to recycle them if necessary. I max out on consistency to make sure the deck never has a bad opening hand. I would say that many of the cards in the deck are not easy to discard; all of them have very important uses throughout the stages of the game. This is why a large count of N is important. If I trimmed down I would be forced to discard key resources such as Mega Turbo and VS Seeker more often early in the game. I only run 3 VS Seeker to have 4 N. It is a logical change to add another VS Seeker and remove an N, and I have played with both counts. However, 3 VS Seeker is enough to guarantee the use of Lysandre and Hex Maniac later on. Having more Supporters is very helpful against Plumebox. Mega Turbo is the most underrated card of the deck, and you might be thinking: “Why do I need to use Max Elixir and Mega Turbo? Shouldn’t Max Elixir be enough?” The simple answer is no. Max Elixir is great at the start of the game, but the deck needs 6–7 Energy in play at all times to stream OHKOs. Mega Turbo is great at maintaining that number and recovering Energy. The deck is a lot smoother with Mega Turbo. Before I added it the deck would struggle to finish the game. It would run out of steam and Energy on the board to take KOs. Here are what I think the matchups are, and I’ll give a brief explanation for each of them. The deck does well against Dark decks because of Resistance. Yveltal-EX and Darkrai-EX/Giratina-EX decks can’t OHKO a Mega Gardevoir, but Mega Gardevoir can return the favor. The deck does well against Mega Mewtwo because of the 1 Mega Gardevoir STS. Without it, the deck would require a lot more time to set up and trade Prizes with Mega Mewtwo. Mega Gardevoir STS is an even matchup because they can take over the game if you can’t manage to take OHKOs. If you can set up multiple Mega Gardevoirs and have 7 Energy in play, you’ll win. The difficult part is that the opponent can Lysandre Shaymin-EX and get free Prizes that way. Greninja is even simply because you outrace them early, but if they can evolve to Greninja and Greninja BREAK every turn you will lose. The key to winning this matchup is to try and use Xerneas BREAK on turn 2 to KO a Frogadier, and then continuously use Mega Gardevoir PRC. It’s important to remember that they play Faded Town, so waiting to evolve Megas is the way to go. Volcanion is even because they can keep the pace of the game, and eventually resort to OHKOs with Steam Up and Volcanion-EX. Using Hex Maniac to prevent a KO on a Mega Gardevoir is the best way to get ahead and stay ahead. I try to start the game off attacking with Xerneas BREAK. This is to force them to send up Volcanion-EX before you send up Mega Gardevoir. I would consider Plumebox even to slightly unfavorable. Xerneas BREAK/Mega Gardevoir has an attacker against all of theirs to use, so it’s a game of who can cycle them the most. If they use Regice, swap to Xerneas BREAK. If they use Glaceon, use Gardevoir-EX. If they use Jolteon-EX, you win. Glaceon-EX is the hardest attacker to deal with, so don’t Mega Evolve until you can take a KO. The Plumebox player will sweep you if you don’t have an answer to Glaceon-EX immediately. Always keep a Gardevoir-EX on the Bench with 3 Energy. Gardevoir-EX PRC is better because it does not discard an Energy, and still two-shots them. All of these matchups are horrendous. Rainbow Road, Mega Rayquaza, and Mega Scizor can all OHKO Mega Gardevoir easily. There is absolutely no hope against Mega Scizor, but Mega Rayquaza and Rainbow Road are winnable. The way to win is to use Xerneas BREAK, and trade 1 for 1 in Prizes. Against Mega Rayquaza, ideally use Geomancy twice, and set up 3 Mega Gardevoirs. The way to win is to always have 7 Energy in play, and continuously N them until they draw dead. Thanks for reading, and I hope to see all of you at Fort Wayne. I think a lot of these cards I talked about today will make an impact on Standard — maybe even in the winning deck!